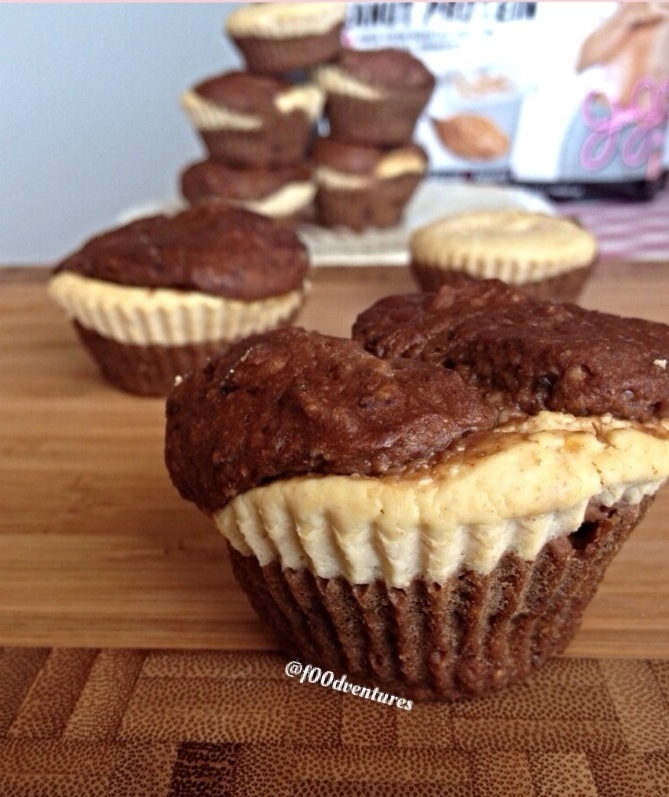 Raise your hand if you love chocolate, peanut butter, cheesecake, and muffins (raises hand). This recipes combines all of those fabulous flavors. These muffins are not only moist and fluffy but they are filled with a yummy peanut butter protein cheesecake filling. Get out two Bowls and Combine muffin ingredients in one bowl and filling ingredients in another. Fill your muffin cups half way, place a spoonful of your filling in the center of the muffin, then cover with a couple spoonfuls of batter. Bake at 350 degrees F for ~25 minutes or until baked all the way through.